This was an informational piece that was on the Comcast home page last fall which I actually thought was pretty good. Mass media nutritional advice is often incorrect, misguided and woefully out-of-date. For this piece, however, they consulted a variety of nutrition “experts” and I think what they have to say, for the most part, is good advice. For the full article, click here. 1. Protein Bars: The caution here is that not all bars are created equal. Some are good choices, and some are no better than eating a candy bar. READ THE LABEL. If you are specifically looking for a “protein” bar, make sure the protein source is the first ingredient. With all bars, look at the sugar and fat content (although I do not feel that saturated fat in a bar is a bad thing). Be aware of how many ingredients are in the bar and how many of those ingredients you can pronounce. Recognize that “sugar” lurks in the ingredient list in many forms. And finally, be aware of the portion size ~ make sure the bar is a single serving. 2. Fat-free Yogurt: Watch the sugar. By taking out something that tastes good, they are often adding a lot of sugar to make up for it. Also, fat-free products are much more processed (which is not discussed in the above article). I will do another blog post soon which discusses some of the reasons to be wary of fat-free dairy. 3. Bacon: This one is probably a no-brainer. And while I don’t think saturated fat is bad for you, things that are highly processed like bacon, hot dogs and most lunch meats should be avoided (or saved for a special treat). 4. Sugar Substitutes: These products are full of chemicals and we don’t fully understand some of their long-term effects. One of the more “natural” sugar substitutes now being offered is stevia. 5. Rotisserie Foods: This is included in the list because of the potential for high bacteria levels (I know, eeewww). The longer these items sit there, the greater the risk. Make sure you are buying from a store that has lots of traffic so the items sit there for a minimum of time. 6. Canola Oil: If you’ve been reading my blog, you should already know how I feel about many of these vegetable oils. They are highly processed and contain more omega-6 fatty acids than you need. As I have already suggested, olive oil, coconut oil are great oils to incorporate into your diet. In the article Jonny Bowden also recommends Macadamia nut oil and peanut oil for frying. 7. Dietary Supplements: Try to get as much of your vitamins and minerals by eating a variety of healthy foods. I do think some supplements are beneficial…but that’s another blog post. Also be aware that many of the supplements available are of very questionable quality and often are not even what they say they are ~ there is very little oversight of supplements. 8. Bottled Marinades: I know they are an easy way to spice up your dinner, but read the label. Bottled marinades often contain significant amounts of sodium, often contain high-fructose corn syrup, along with artificial colors and flavors. The reality is, it doesn’t take much effort to throw together your own marinade. Or use one of my favorite go-to ways to spice up something on the grill ~ brush it with garlic-flavored olive oil, sprinkle with salt and pepper. 9. Pre-packed Salads: The reasoning here is that the light that these bags are under in the supermarket destroys a lot of the vitamin C and riboflavin. These bagged salads are also more subject to bacteria growth. 10. Salad Dressing: Better to make your own. Like the bottled marinades, these often have a lot of sodium and artificial ingredients. Many also contain a lot of added sugar. Read your labels ~ some are better than others. Or make your own. I have a great recipe for Creamy Caesar Dressing. 11. 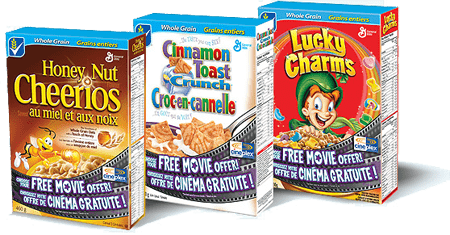 Whole-grain Cereals: Again, read the label. All the cereal companies are in on the “whole-grain” thing. Does not make them healthy. Look at the list of ingredients, how many you can pronounce and be aware of sugar ~ many “whole-grain” cereals are still loaded with sugar. Personally I think most cereal is of weak nutritional value and most are highly processed, even the “healthy” alternatives. Read labels and don’t eat cereal every day are my recommendations. 12. Juice, Soda or any Sweetened Drinks: This is another one that we probably all know. The calories add up quickly and your body does not need those carbohydrates from sugar. Be aware that juice if often touted as healthy, but should be consumed in moderation. I would recommend no more than 4-6 ounces a day. This entry was posted in Nutrition and tagged dietary supplements, fat-free dairy, protein bars, whole grain cereals. Bookmark the permalink.